production process of pottery. 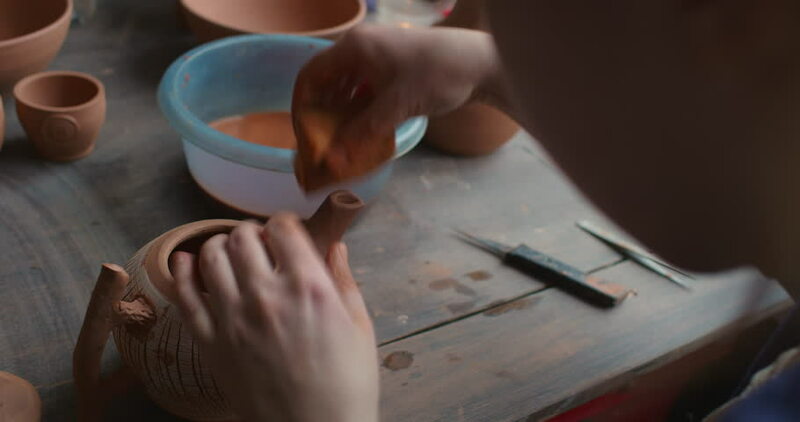 The potter finally forms and applies textures to the clay kettle. 4k00:20Close up dolly scene from hands of a 1930s businessman with fountain pen making entries into a ledger over to candlestick phone. 4k00:05Scientist turning pages of a very old book in a library. Latin book from the 18th century. hd00:08Working process of the leather belt in the leather workshop. Man holding crafting tool and working. Tanner in old tannery. Wooden table background.